New era for hydrogen sector in EU alternative fuel ambition? The European Hydrogen Association, EHA, welcomes the EU Commission Communication on Clean Power for Transport and its confirmation on the role that hydrogen will play in moving Europe’s transport away from using fossil fuels. As several Member States have made a constructive start in planning their national hydrogen production, distribution and refuelling station network the need to start the harmonisation of these national efforts, to ensure a sustainable roll out in all EU Member States in the future, is crucial. Through its network of over 20 national member associations, the EHA is representing more than 300 large as well as small and medium-sized companies active in hydrogen and fuel cell system development, many of them market leaders. National associations have up-close insight in which key political and industrial stakeholders to engage in supporting national infrastructure efforts.Many EHA members are actively involved in projects supported by the EU Joint Undertaking for Fuel Cells and Hydrogen that prepare the market roll out of applications in the coming decade. 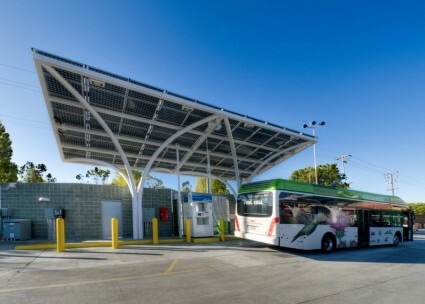 Although private investment in alternative fuel infrastructure development will be stimulated by the Clean Power for Transport Communication, government support at all levels is needed to ensure economic and environmental sustainable and harmonised market development especially for new innovative fuels like hydrogen. The EHA is committed to work closely with its national member associations to ensure the involvement of all political and industrial stakeholders including SME’s, most of which are technology frontrunners in this sector. 29 January, 2013On January 24, 2013 EU Transport Commissioner Siim Kallas announced the Clean Power for Transport for Europe package to put harmonised infrastructure for all alternative fuels including hydrogen and battery recharging on European roads. Policy initiatives so far have mostly addressed the actual fuels and vehicles, without considering fuels distribution. Efforts to provide incentives have been un-co-ordinated and insufficient The EHA among others bared the wintery conditions to witness Siim Kallas, EC Vice and Commissioner for Transport to give the official press release, wherein he stated “Developing innovative and alternative fuels is an obvious way to make Europe’s economy more resource efficient, to reduce our over dependence on oil and develop a transport industry which is ready to respond to the demands of the 21st century. Between them, China and the US plan to have more than 6 million electric vehicles on the road by 2020. This is major opportunity for Europe to establish a strong position in a fast growing global market.” To read the full communication follow this link or to read Siim Kallas’s speech full. 29 January, 2013The report on the public consultation on the preparation of the Fuel Cell and Hydrogen Joint Undertaking (FCH JU) under Horizon 2020 launched by the European Commission last summer, has been approved and published. 28 January, 2013Daimler AG, Ford Motor Company and Nissan Motor Co., Ltd., have signed an agreement for the joint development of common fuel cell system to speed up availability of zero-emission technology and significantly reduce investment costs. 28 January, 2013The priorities of Ireland’s Presidency of the EU Council of Ministers were presented to the various committees in the European Parliament by Irish ministers last week. 21 January, 2013Dear all, I hope that 2013 has started well in your pursuit of your hydrogen dreams. We know that 2013 is likely to be a pivotal year for the EHA and hydrogen in general. 8 January, 2013Science and technology students, innovators and entrepreneurs have until 15th February to apply for a scholarship or business grant from the Proton OnSite Scholarship and Innovation Program.